Forestry@Bangor alumni, Graham Taylor (BSc Forestry and Soil Science, 1990) and Geraint Richards (BSc Forestry, 1992) have both carved out notable careers. Graham is director of the leading forestry consultancy Pryor and Rickett Silviculture whilst Geraint is Head Forester for the Duchy of Cornwall. They are a thought-provoking double-act and will share invaluable experience and wisdom gained from their successes and mistakes. 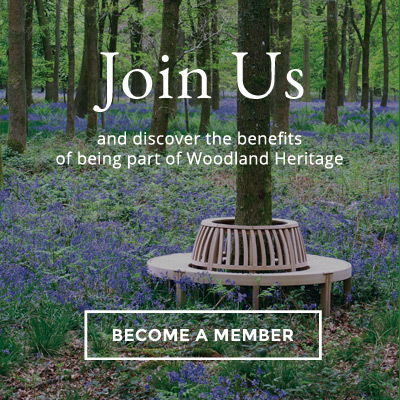 Perhaps it’s no surprise that they are now trustees of Woodland Heritage, an exciting charity working to revive our woodland culture. Woodland Heritage has also developed a strong reputation for helping to fund research into Acute Oak Decline at Bangor University, Forest Research and a number of other universities. 2015 was a special year for Woodland Heritage with the appointment of its first employee, Development Director Guy Corbett-Marshall. As the new public face of Woodland Heritage, Guy will be present to meet with students and researchers and learn more about the many links between the charity and the university. Woodland Heritage also runs the ‘From Woodland to Workshop’ training courses each year with the student receiving The Prince of Wales Award. The 2015 recipient is aForestry@Bangor graduate, Nicholas Hill (MSc Environmental Forestry, 2015), who will receive his award as part of the event on 15th March.